Announcements about the course will be posted here. Please check the site regularly for announcements (which will also be given in lecture and/or in recitation). Here are the solutions to the final exam. The final exam will be held on Wednesday, 5/13, 8:00am  10:45am. The room for Lec 01 (Rec 01, 02, 03 and 05) as well as Rec 12 is Harriman Hall 137. The room for Lec 02 (Rec 06, 07, 08, 09, 10) is Frey Hall 100. The room for Lec 03 except Rec 12 (Rec 13, 14, 15) is Frey Hall 104. There will be a review session for the final exam on Monday, May 11th from 5pm to 7pm in (Old) Engineering 143. There is now a review sheet for the final exam, as well as solutions to the practice problems on the review sheet. There is another practice exam for Core Competency Exam C, as well as solutions, posted on Blackboard. There are now solutions for the practice problems on the Core Competency Exam C review sheet. There is now a review sheet for Core Competency Exam C.
There are now solutions to Midterm 2. For Core Competency Exam B, passing is 7 or more out of 10. There is another practice exam for Core Competency Exam B, as well as solutions, posted on Blackboard. Midterm 2 will be held on Tuesday, 3/31, 8:45pm. The room for Lec 01 (Rec 01, 02, 03 and 05) as well as Rec 07 is (Old) Engineering 143. The room for Rec 06, 08, 09 and 10 is Frey Hall 102. The room for Lec 03 (Rec 12, 13, 14 and 15) is Earth and Space Sciences 001. The Math Learning Center has arranged for a review session for Midterm 2. The review session will be held on Friday, 27 March, 5:30pm  6:50pm in Engineering 143. There are now solutions to the practice mastery questions. There is now a practice for the mastery portion of Midterm 2. Midterm 2 will be held on Tuesday, March 31st, beginning at 8:45pm. There are now solutions to the practice exam for Core Competency Exam B. There is now a practice exam for Core Competency Exam B. There are now solutions to Midterm 1. Midterm 1 will be held on Thursday, 2/26, 8:45pm. The room for Recs 01, 02, 03, 05 and 12 is Harriman Hall 137. The room for Recs 06, 07, 08, 09 and 10 is Frey Hall 102. The room for Recs 13, 14 and 15 is Frey Hall 104. There is now a practice for the mastery portion of Midterm 1. Midterm 1 will be held on Thursday, February 26th, beginning at 8:45pm. To begin preparing for Midterm 1, students are encouraged to review Midterm 1 from previous semesters: (Fall 2013, Fall 2012). There are now solutions to the practice exam for Core Competency Exam A. Thanks to Profs. Andersen and Guenancia, and to some students, who pointed out mistakes that are now corrected in these solutions. There is now a practice exam for Core Competency Exam A. Due to the weather, the university has cancelled all classes meeting on Monday, February 2nd. Due to the class cancellation, WebAssign Assignment 2 is now due on Wednesday, February 18th, 11am. Due to the weather, the university has cancelled all classes meeting on Monday and Tuesday, January 26th and 27th. Additionally, classes meeting on Wednesday, January 28th prior to 2pm have been cancelled. Due to the class cancellations, WebAssign Assignment 1 is now due on Wednesday, February 11th, 11am. The description in the undergraduate bulletin: Comprehensive preparation for the regular calculus sequences, with introduction to derivatives. Careful development of rational, exponential, logarithmic, and trigonometric functions, and their applications. Asymptotics and limits. Linear approximations, slope and derivatives, detailed curve sketching. General modeling examples. This course has been designated as a High Demand/Controlled Access (HD/CA) course. Students registering for HD/CA courses for the first time will have priority to do so. received level 3 or better on the mathematics placement examination. See the document first year mathematics at Stony Brook for more information about the math placement exam and other calculus courses. Please note. The prerequisite must have been satisfied within one year prior to beginning the course. Successful completion of this course with a grade of C or higher satisfies the DEC C and SBC QPS requirements. The course learning objectives include the following. Represent mathematical information symbolically, visually, numerically, and verbally. This includes graphing functions given as equations, converting between different descriptions of functions (e.g., explicit equations versus implicit descriptions such as inverse functions), and finding the appropriate equations and graphs from a verbal description (i.e., "word problems"). Employ quantitative methods such as algebra, geometry, calculus, or statistics to solve problems. Students will learn how to use models such as linear models and exponential models to understand real-world phenomenon such as compound interest, population growth, and radioactive decay. Estimate and check mathematical results for reasonableness. Students will learn how to perform "consistency checks" to test solutions, e.g., plugging in points to check the equation of a graph obtained from an affine linear transformation (horizontal / vertical translations and scalings). Recognize the limits of mathematical and statistical methods. Students will learn the limits of simplified mathematical models (such as exponential population growth). List of key course skills. Understand the domain and range of a function. Know when a function is invertible, and find the inverse of an invertible function. Understand the relationship between the domain and range of an invertible function and its inverse function. Perform vertical and horizontal transformations (translations, scalings and reflections) of functions and graphs. Compose functions. Graph composite functions. Know the standard forms for equations of lines. Recognize parallel and perpendicular lines. Know the quadratic formula and "completing the square". Understand exponents and exponential functions. Know the exponent laws and how to use them. Understand key features of polynomials including degree, leading term, and constant term. Graph polynomials, including growth behavior "at infinity". Understand angles both in degrees and in radian measure. Understand sine and cosine, as well as the relation between them. Understand tangent, secant, cosecant, and cotangent. Know trigonometric identities such as the angle addition formulas. Know special values of trigonometric functions, e.g., those arising in the "45-45-90 triangle" and the "30-60-90 triangle". Know the inverse trigonometric functions, including their domains and ranges. Understand transformations of trigonometric functions, e.g., amplitude and phase shift. Understand logarithms as inverses of exponential functions. Know the logarithm laws and how to use them. Understand models using exponential and logarithmic functions: population growth, interest, radioactive decay. Understand rational functions, including domains. Students are expected to regularly attend lecture and recitation. Problem sets and exams that are missed may only be excused with a valid excuse, including a doctor's note or other such documentation. In most circumstances, an excused midterm will be discounted in the computation of the final course points; no make-up will be offered, but the remaining midterm and final exam will be weighed more to bring the exam portion of the grade to the correct level. Since the core competency exams are offered multiple times, a missed core competency exam will usually be ignored: the student may make-up a missed core competency exam when it is next offered. Extensions of deadlines for WebAssign are handled within the WebAssign system. This semester, unexcused late assignments are accepted, but with an automatic penalty of 33% each day late (thus no credit after 3 days). Please follow this link for the calendar of assigned readings and WebAssign assignments. There will be three core competency exams; short multiple choice / short answer exams that test competency of the core material. Students must pass these exams in order to earn a grade of C or higher. We are attempting to computerize the core competency exams, so that students may take proctored exams in a testing center at convenient times. However, until that is finalized, tentatively the core competency exams are scheduled for the following dates in lecture. Core Competency Exam A, In-Lecture: Wed 2/18 Lec 01 & 03, Thu 2/19 Lec 02. There is now a practice exam for Core Competency Exam A. There are now solutions to the practice exam for Core Competency Exam A; the solutions correct some typos on the original practice exam. Core Competency Exam B In-Lecture: Wed 3/25 Lec 01 & 03, Thu 3/26 Lec 02. There is now a practice exam for Core Competency Exam B. There are now solutions to the practice exam for Core Competency Exam B. Core Competency Exam C In-Lecture: Wed 5/6 Lec 01 & 03, Thu 5/7 Lec 02. There is now a review sheet for Core Competency Exam C. There are now solutions to the practice problems from the Core Competency Exam C review sheet. There is a second practice for Core Competency Exam C as well as solutions posted on Blackboard. Midterm 1 was held at 8:45pm, Thursday, February 26. There are now solutions to Midterm 1. The room for Recs 01, 02, 03, 05 and 12 was Harriman Hall 137. The room for Recs 06, 07, 08, 09 and 10 was Frey Hall 102. The room for Recs 13, 14 and 15 was Frey Hall 104. Midterm 1 included a second attempt at Core Competency Exam A for those students who had not yet passed Core Competency Exam A. In addition, Midterm 1 included a Mastery Exam testing deeper understanding (worth 10% of total class points). Here is a practice for the Mastery Exam. Here are solutions to the practice mastery problems. Midterm 1 from previous semesters also gives good preparation for the Mastery Exam (Fall 2013, Fall 2012), although we have not yet reached the same point in the text as in previous semesters. Midterm 2 was held at 8:45pm, Tuesday, March 31. There are now solutions to Midterm 2. The room for Lec 01 as well as Rec 07 was (Old) Engineering 143. The room for Rec 06, 08, 09 and 10 was Frey Hall 102. The room for Lec 03 was Earth and Space Sciences 001. Midterm 2 included additional attempts at Core Competency Exam A and Core Competency Exam B for those students who had not yet passed one of these. In addition, Midterm 2 included a Mastery Exam testing deeper understanding (worth 10% of total class points). Here is a practice for the mastery portion of Midterm 2. There are now solutions to the practice mastery questions. The Final Exam will be held 8  10:45am, Wednesday, May 13. There is now a review sheet for the final exam, as well as solutions to the practice problems on the review sheet. For Core Competency Exam A, a second attempt will be allowed during Midterm 1. For Core Competency Exam B, a second attempt will be allowed during Midterm 2. For Core Competency Exam C, a second attempt will be allowed during the Final Exam. Apart from the second attempts of the core competency exams, the remainder of the midterms and final exam will be long-form problems, typically with multiple parts that build on each other and that test mastery of the subject. Precalculus: A Prelude to Calculus, Second Edition, by Sheldon Axler available at the University Bookstore @ Stony Brook. 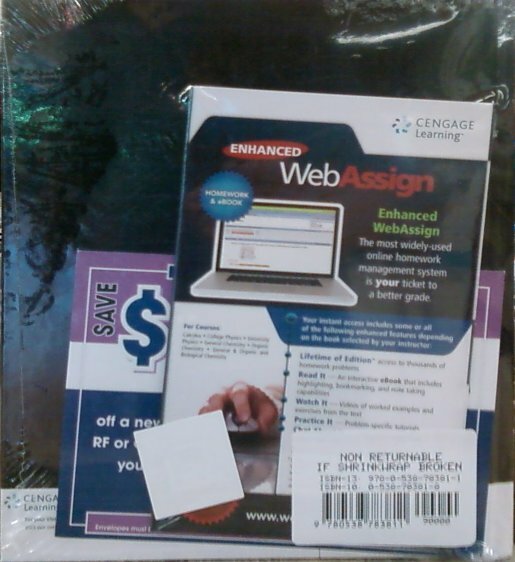 The course material bundle from the bookstore includes an access code for WebAssign, which we will be using this semester. You are free to purchase the textbook elsewhere, but then you will need to buy stand-alone access for WebAssign. You can get electronic access to the text together with WebAssign access at WebAssign. Students are encouraged to explore all options to find the best value in purchasing course materials. These are three multiple choice / short answer exams: Core Competency Exam A, Core Competency Exam B, and Core Competency Exam C. See here for more details. These exams test competency in the core material of the three units of this course. Each student will have at least two opportunities to pass each of the three core competency exams. In order to receive a grade of C or higher, students must pass each of the three core competency exams. Passing the three core competency exams will automatically qualify students to receive a grade of at least C in the course. Students who do not pass the three core competency exams cannot receive any grade higher than C-. For letter grades above C, passing the core competency exam counts for 60% of the total class points. Letter Grades Above C Those students who pass the three core competency exams automatically receive a grade of at least C. Letter grades above C are determined based on total class points. The relative weighting of class points are as follows. Primary instruction will occur in lectures, with practice and reinforcement provided in a smaller classroom setting during recitations. PLEASE DO THE ASSIGNED READING FROM THE SYLLABUS BEFORE LECTURE. Please regularly attend recitation. Most of the one-on-one interaction so crucial in this course will happen in recitation. Students should be attentive and respectful during class. Students should not speak on cell phones during class, and students should keep cell phone noises to an absolute minimum. If it is absolutely necessary to make a phone call, students should exit the classroom before placing or answering the call. Similarly, although students are allowed to use laptops and other electronic devices, these must be unobtrusive, quiet, and they must not distract other students or the instructors. Cell phones and all other electronic devices may never be used during exams. Graded problem sets and exams will be handed back in recitation. If you cannot attend the recitation in which a problem set or exam is handed back, it is your responsibility to attend your recitation instructor's office hours and get your graded work. FAILURE TO RETRIEVE GRADED WORK IS NOT GROUNDS FOR A MAKE-UP, A REGRADE, OR CHANGE OF A FAIL TO AN INCOMPLETE. You are responsible for collecting any graded work by the end of the semester. If you have a question about the grade you received on a problem set or exam, you must contact the recitation instructor (not the grader or the lecturer). There are a number of organizations on campus offering tutoring and other academic resources in various locations. The mathematics department offers drop-in tutoring in the Math Learning Center. You are strongly encouraged to talk to a tutor in the MLC if you have an issue and are unable to attend your lecturer's or recitation instructor's office hours (or if you have previously arranged to meet them in the MLC). Many additional tutoring resources are listed on the ASTC webpage. For students living on campus, there are also tutoring centers available in the residence halls. Each student must pursue his or her academic goals honestly and be personally accountable for all submitted work. Representing another person's work as your own is always wrong. Faculty are required to report any suspected instances of academic dishonesty to the Academic Judiciary. Faculty in the Health Sciences Center (School of Health Technology & Management, Nursing, Social Welfare, Dental Medicine) and School of Medicine are required to follow their school-specific procedures. For more comprehensive information on academic integrity, including categories of academic dishonesty, please refer to the academic judiciary website at http://www.stonybrook.edu/commcms/academic_integrity/index.html. Web design due to Scott Sutherland. Page last updated 30 December 2010 at 10:30am.